Canterbury women who had worked for women’s suffrage knew what it was like to organise a successful campaign for social reform and were well prepared to take up the cause of peace. As historian Elsie Locke has commented, they ‘had learned to deal with hostility, prejudice and rigid presumptions among their opponents. They were up against the same obstacles when they took up the cause of peace in the atmosphere of the time’. Through their women’s organisations, the Women's Christian Temperance Union (WCTU) the Canterbury Women's Institute (CWI) and the National Council of Women (NCW), women had been discussing and passing resolutions about peace and the need for a peaceful system of settling international disputes long before the anti-militarist movement began in 1910. Delegates at the New Zealand Women's Christian Temperance Union's national convention in Dunedin, 1912. The National President of the WCTU, Fanny Cole of Christchurch, is sitting front right, with gavel. The pamphlet produced by the New Zealand Women's Christian Temperance Union following their 1912 convention. The Women's Christian Temperance Union (WCTU), a nationwide women’s organisation established in New Zealand in 1885, included ‘Peace and Arbitration’ among its departments of work. It was not the most active department, but some resolutions were passed at meetings, and Lucy Smith, the editor of the WCTU newspaper The White Ribbon, supported the concept of an International Court of Justice and an international army in her editorial, ‘In time of War Prepare for Peace’, published in November 1904. When discussion about compulsory military training and the Defence Act was at its height in 1912 Smith gave a paper about the Defence Act to the annual WCTU convention. WCTU members Ada Wells, Elizabeth McCombs, Elizabeth Taylor and Mrs Hunter had also called on the Convention to oppose the Act, and the convention went on to pass a series of resolutions. They showed the WCTU’s concern with protecting young children from military training and ensuring that the influence of the military authorities did not grow too strong in the country as a result of the Act. A pamphlet was later issued by the WCTU which presented both the reasons for opposing the Defence Act and the eight resolutions passed at the conference. But the WCTU as an organisation was not strongly anti-militarist. Their stance was probably a common one amongst New Zealand women; they hated war but when confronted with a particular situation such as the First World War they felt a patriotic duty to support the Empire. After all this was meant to be the war to end all wars. 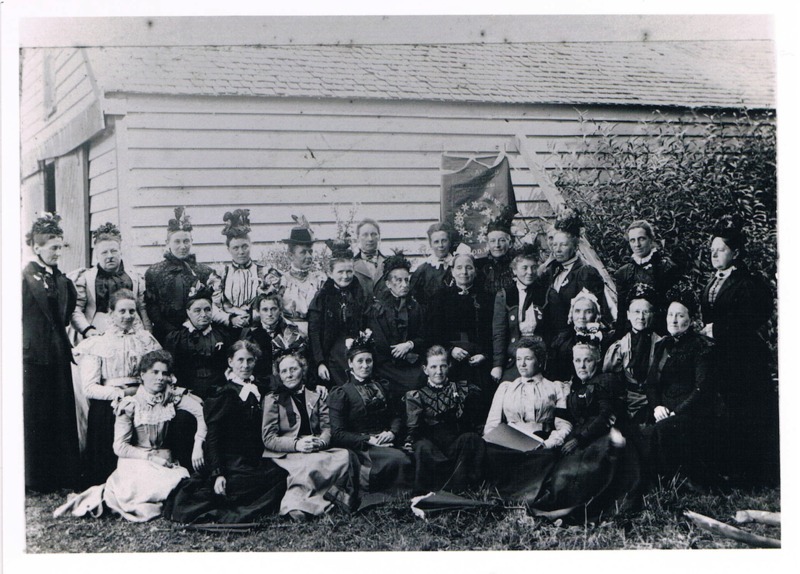 Another Christchurch women's organisation which ultimately played a much more significant peace-making role was the Canterbury Women's Institute (CWI) which formed in 1892 with a wide-ranging programme of reform. Its platform included non-party government, the abolition of the Upper House, the removal of all disabilities from women, equal marriage and divorce laws, the economic independence of women and men, old age pensions and equal pay for equal work. CWI members, many of whom were also members of the WCTU, supported the campaign to achieve women's suffrage, and worked to get women elected to public boards and committees. While peace was not a major concern of the Institute it agreed in 1896 that war would not redress the wrongs of Armenia as ‘War intensifies and multiplies the crimes it seeks to avenge’. The Institute deplored the growth of armaments and in 1897 deprecated any project to involve Australasia in war. 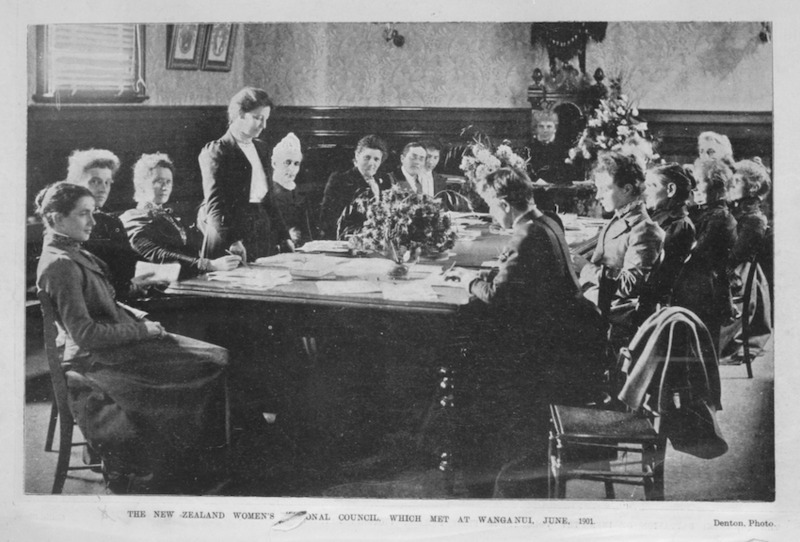 Ada Wells speaks to the National Council of Women meeting at Wanganui, in 1901. But the CWI also had a broader vision of bringing women together to work on common issues. 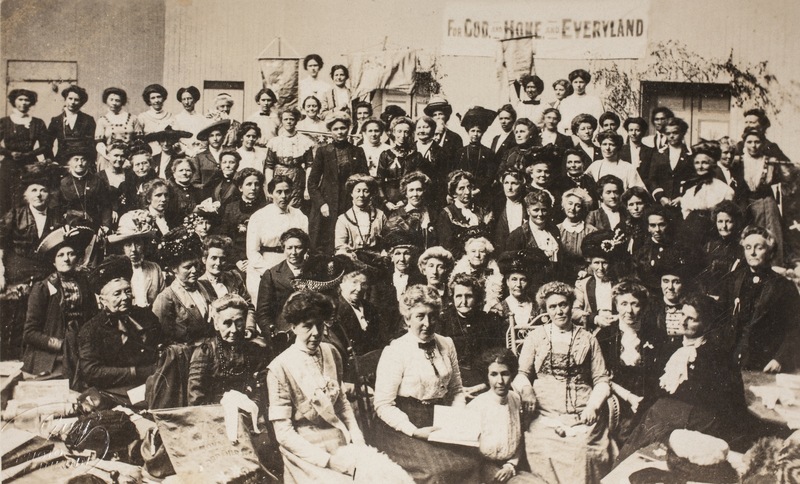 In 1894 the CWI convened a first conference of women in Christchurch and in 1896 it took this move to a national level and convened the first meeting of the National Council of Women (NCW) held at the Provincial Council Chambers. This was to be the 'Women's Parliament'. Women had won the vote but still were excluded from government. A women's council was an opportunity for them to meet, hear papers on serious societal issues, debate and put forward their own vision for society. At the 1896 meeting Ada Wells became the first secretary of the Council, while the suffrage leader Kate Sheppard was elected the first President. 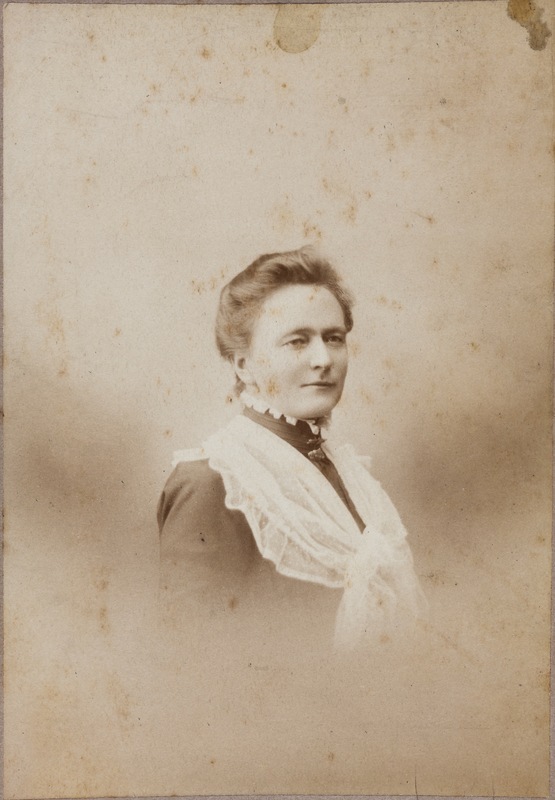 The main advocate for peace and arbitration at NCW meetings in its early years was Wilhelmina Sheriff Bain. At its second meeting the NCW delegates passed resolutions condemning war and urging the people of Australasia to 'co-operate in promoting permanent and universal peace'. The NCW of New Zealand deplores the militarism which is extending its ravages over the world. . . . The Council considers that difficulties between nations are always capable of peaceable settlement, if mediatory methods be employed in time, and it strenuously advocates the establishment of a permanent Court of Arbitration, which shall adjudge the claims of the strongest and weakest States on the basis of equal justice to all. An important aspect of the early women's groups in New Zealand is that they kept in touch with the international feminist and suffrage organisations including the International Council of Women (ICW) and WCTU's in the USA, Britain and Europe. In 1904 Wilhelmina Sherriff Bain went first to Berlin to attend the ICW's Quinquennial Meeting and then to Boston to attend the 13th Universal Peace Congress where she spoke about industrial arbitration in NZ and drew parallels with international arbitration. As Compulsory Military Training became a reality in 1911, the general resolutions of the earlier years against war and in favour of international arbitration began to give way to public statements and the publication of flyers by a few key members of the CWI. From 1912 under the leadership of Ada Wells and Sarah Page, the CWI began to take an anti- militarist stance. In 1913 they took up the case of Cuthbert Beary one of the passive resisters who had suffered seven prosecutions under the Defence Act in 18 months. He had been imprisoned and had his wages taken to pay fines and had also been prosecuted four times for speaking on the streets. The CWI objected to scenes of warfare that were supplied to primary schools and included in a statement about its works and ideals that it was 'earnestly working for the cause of universal peace'. The CWI also gave practical support to imprisoned conscientious objectors which included giving funds to the 'Prisoners' Dependents' Fund'. There was less support in the country districts for the anti-militarists. In October 1913 Sarah Page, Ada Wells and Mrs Louisa Nuttall, the mother of Thomas Nuttall, one of the imprisoned resisters, went to Ashburton to hold meetings on the Defence Act under the auspices of the CWI. About a hundred and fifty women attended the noisy afternoon meeting but the resolution that was passed at the end of the meeting fully supported 'the principles of universal military training as being in the best interests of the people of New Zealand'. Only four of those in the hall joined those on the platform in opposing it. They also held an evening meeting that was later described as a 'howling wilderness' and 'even the Mayor could not get a word in to explain why he had agreed to take the chair’. 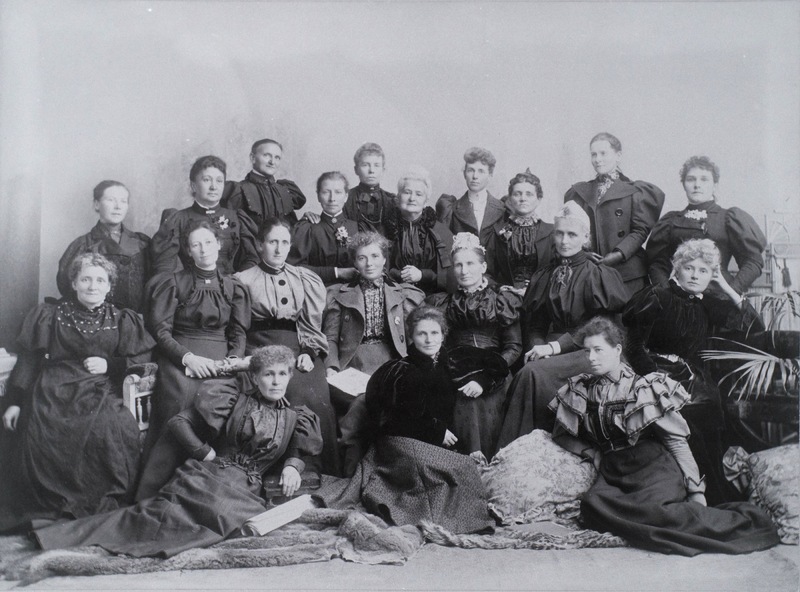 Another women's organisation which began in Christchurch, was the New Zealand Housewives Union, formed in 1912 with a focus on living costs, child care and education after its founding members Ada Wells, Sarah Page, Elizabeth Taylor and Emily Gibson had presented evidence to the 1911 Royal Commission on the Cost of Living. Elizabeth Taylor, whose husband the radical Liberal politician and recently elected Mayor of Christchurch had died suddenly in 1911, became its first national president with Elizabeth McCombs the secretary. 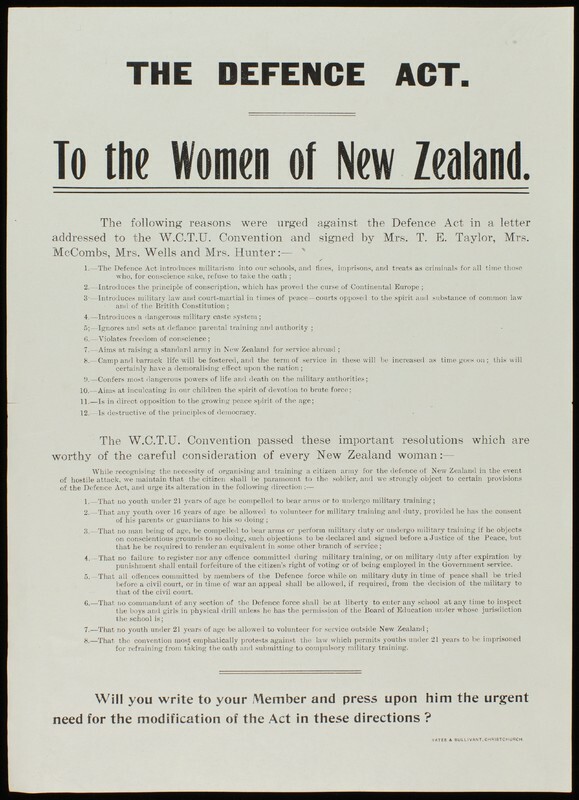 In 1912 the Housewives Union and the National Peace Council issued a two page pamphlet written by Ada Wells and Sarah Page addressed to 'the Women of New Zealand: a plea for the repeal of the Defence Act'. The pamphlet concluded by asking New Zealand women to 'work without ceasing for the repeal of the Defence Act, which will bring disease and death to the moral sense, and in the end to the State we ardently love'. The CWI's Christmas message published in the Maoriland Worker in December 1916 and signed by Ada Wells as President and Sarah Page, Secretary, took the form of questions and answers starting with 'Why are we at war?' But the main thrust of the message was to draw attention to the fact that war did not protect women and children. By the end of the war both Ada Wells and Sarah Page were openly socialist. Under their leadership the CWI joined the emerging Labour Party's Representation Committee, and both Wells and Page stood for office as Labour candidates in Christchurch City Council elections. This open espousal of party politics and advocacy of socialism was a major shift from the CWI's earlier non-party political stance, and may have contributed to its demise: the CWI had gone into permanent recess by 1921. ‘Minutes (Abridged) of the Second Meeting of the National Council of the Women of New Zealand held in the Provincial Council Chambers, Christchurch, March 1897’, p.10. Lovell-Smith, Hilda Kate, 1886-1973: Papers, MS-Papers-1376, Folder 4, Alexander Turnbull Library. Elsie Locke, Peace People: A History of Peace Activities in New Zealand, (Christchurch: Hazard Press, 1992), p.27. Lucy Smith, ‘In time of War Prepare for Peace’, The White Ribbon, November 1904, pp. 6-7. Reprinted in Margaret Lovell-Smith ed. The Woman Question (Auckland: New Women’s Press, 1992), p.230. Megan Hutching, ‘Turn Back this Tide of Barbarism: New Zealand women who were opposed to war 1869 – 1919’, (MA Thesis, University of Auckland, 1990), pp. 89-91. Elsie Locke, Peace People, p.41. Margaret Lovell-Smith, 'Canterbury Women's Institute', in Women Together, ed. Anne Else, (Wellington: Historical Branch Department of Internal Affairs and Daphne Brassell Associates, 1993), p.76. ‘News of the Day: Canterbury Women’s Institute’, Press, 8 September, 1896, p.4; ‘Canterbury Women’s Institute’, Press, 14 February 1898, p.2. ‘Canterbury Women’s Institute’, Press, 8 December 1897, p.6. Provincial Council Chambers, Christchurch, March 1897’, p.10. Lovell-Smith, Hilda Kate, 1886-1973: Papers, MS-Papers-1376, Folder 4, Alexander Turnbull Library. For a full discussion of the controversy surrounding the 1900 NCW meeting’s resolution regarding militarism see Megan Hutching, 'Turn Back this Tide of Barbarism’, pp.38-48. ‘National Council of Women’, Otago Daily Times, 11 May 1900, p.2. Megan Hutching, 'Turn Back this tide of Barbarism, pp.51-52. 'Canterbury Women's Institute', Southland Times, 31 October 1913, p.2. 'School Pictures: “Scenes of Carnage”: Women's Institute Objects', Sun, 18 March 1914, p.7. 'The C.W.I. ', Maoriland Worker, 31 March 1915, p.5. Prisoners' Dependents' Fund, Maoriland Worker, 28 February 1917, p.4; ‘C.O. 's Dependents' Fund', Maoriland Worker, 2 July 1919, p.3. 'Ashburton', Otago Daily Times, 10 October 1913, p.5. 'Peace Propaganda Rejected by Ashburton People', Lyttelton Times, 10 October 1913, p. 8, reprinted in Charlotte MacDonald, ed., The Vote, the Pill and the Demon Drink, (Wellington: Bridget Williams Books, 1993), p.72. Elsie Locke, 'The Seekers After Peace', in Canterbury Women Since 1893, (Christchurch: Regional Women’s Decade Committee, 1979), p.139. Raewyn Dalziel, 'Federation of New Zealand Housewives', in Women Together ed. Anne Else, (Wellington: Daphne Brasell Associates and Historical Branch, Department of Internal Affairs, 1993), p.93. Raewyn Dalziel, ‘Political Organisations’, in Women Together ed. Anne Else, (Wellington: Daphne Brasell Associates and Historical Branch, Department of Internal Affairs, 1993), p.59; Dalziel, 'Federation of New Zealand Housewives', p.93. Megan Hutching, 'Turn Back this tide of Barbarism’, pp.73-74. Adela Pankhurst, 'Notes of a Tour', Maoriland Worker, 19 July 1916, p.3. ‘Canterbury Women’s Institute’, Maoriland Worker, 13 December 1916, p.13.